The Margaritaville® Jimmy Buffett Anniversary Edition Key West™ Frozen Concoction Maker® makes it effortless to create restaurant-quality frozen drinks for your holiday brunch. Just add ice to the ice reservoir and all your favorite drink ingredients to the glass jar and concoct! A Mother's Day Brunch is all about thanking Mom for all the hard work she does and love she gives with an indulgent brunch where she can put her feet up and relax. Get everything ready ahead of time so she doesn't have to lift a finger. For food, go with her favorites with an upscale twist. French toast becomes extra special when drizzled with a vanilla-almond or lemon icing and sprinkled with fresh fruit. Scrambled eggs get an upgrade when piled in taco shells and topped with salsa and sliced avocado. Cheese-and-vegetable quiches, fruit scones, pound cake, roasted potatoes with herbs and salmon-topped bagels are all great options for your Mother's Day brunch, too. Aim for a balance of sweet and salty foods - featuring some of Mom's favorite dishes! - and have plenty of fresh fruit, juice and pastries on hand too so no appetite goes unsatisfied! Make a Mother's Day brunch unforgettable with frozen concoctions. In addition to a stellar menu, brunch is all about the vibes - especially on Mother's Day. Aim for creating a worry-free zone that's all about relaxation and fun. If the weather permits, hold your brunch on the patio to enjoy your celebration in the sun and under the blue sky. Mother's Day brunch should be comfortable, so make sure the seating is extra inviting. You can eat at a long table set low to the ground and spread out blankets and soft cushions and ottomans for seats. Create a special seat with a bow, ribbon or bunch of balloons attached to it to give Mom her rightful throne! Bouquets or pots of fresh flowers and plants add springtime cheer to the space - pick your Mom's favorite flower and add bunches of it everywhere. The more, the merrier! You could also float large cut blooms in bowls of water for a pretty touch. Brightly colored tablecloths, placemats, paper decorations, cutlery and serving dishes make your meal as festive as possible. No self-respecting brunch host would find themselves without mimosas - keep this frozen variety flowing for your Mother's Day event. Add ice to the ice reservoir and all remaining ingredients to the Margaritaville® Jimmy Buffett Anniversary Edition Key West™ Frozen Concoction Maker® glass jar. Concoct and pour into glasses. Garnish with blood orange slices and serve. 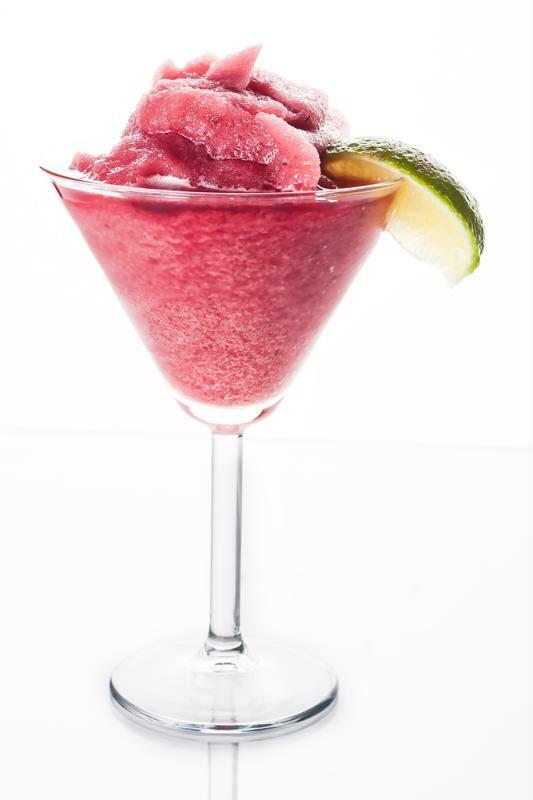 Fruity and refreshing, the classic Tequila Sunrise gets a modern update when mixed with shaved ice and pomegranate juice. Add ice to the ice reservoir and all remaining ingredients to the Margaritaville® Jimmy Buffett Anniversary Edition Key West™ Frozen Concoction Maker® glass jar. Concoct and pour into glasses. Garnish with maraschino cherries and pomegranate seeds and serve. A big pitcher of sangria is a brunch staple, the perfect sipper for sunny weekends. Give it a festive twist with strawberries, kiwis and shaved ice. Add ice to the ice reservoir and all remaining ingredients to the Margaritaville® Jimmy Buffett Anniversary Edition Key West™ Frozen Concoction Maker® glass jar. Concoct and pour into glasses. Garnish with fresh strawberries and lemon slices and serve.